Here’s a story to warm the cockles of your heart. Coxy the Loggerhead Sea Turtle has become a local Ibiza celebrity thanks to 2 off-duty police officers who, whilst out fishing, found her floating hopelessly close to the island of Conillera, half a mile off the coast of San Antonio. The poor marine animal was completely tangled up in plastic tied to 3 bottles of Coca-Cola and was hardly moving so they immediately called 112 and pulled off the plastic. Little did they know but they should have waited for the experts to decide how to manage the situation as cutting off the object that strangles the animal’s body can release a series of pathogens into the blood which can cause infection and blood poisoning. Luckily on this occasion little Coxy managed to stay strong and battle through. After an X-ray the brave turtle was given the all clear and ended up at the Recovery Center for Marine Species (CREM) located at the Cap Blanc Aquarium near Cala Gracio. 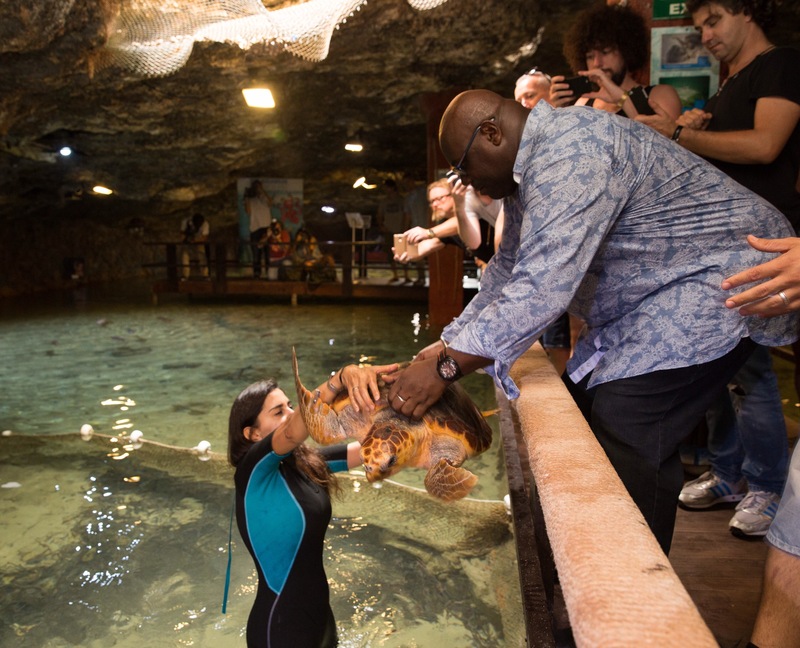 This facility is a natural cave with constant fresh sea water circulation and offered the perfect natural environment for her to recover surrounded by other marine animals which is really positive in the recovery process. 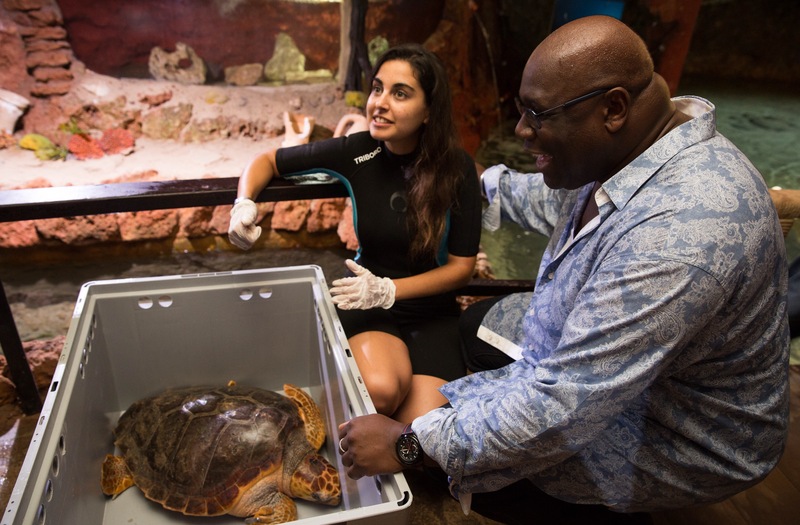 It was at the aquarium that Coxy came under the watchful eye of oceanographer Veronica Nuñez who helped the injured marine animal over a month with a series of treatments and a strict diet in order to get her back to normal weight. Veronica discovered that her new best friend was only around 10 years old and it was clear from the state of her shell which was covered with algae and crustaceans that Coxy had been adrift for many days and was seriously malnourished due to being unable to dive for food. Her front fins were also seriously damaged due to the entanglement with the Plastic. 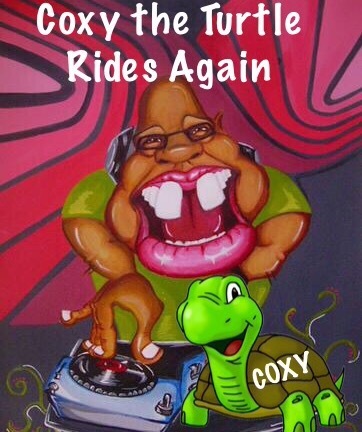 The Sea Turtle is one the most beloved animals on the island so the story generated a lot of local media interest so to gain the maximum publicity for Coxy and other sea turtles world renowned DJ and Ibiza veteran Carl Cox kindly accepted an offer to become his namesakes godfather saying “I was moved by the story and honored to help out”. Now Veronica’s main objective is to raise awareness that throwing plastic into the sea can be devastating for all sea life especially for these lovely peaceful marine animals. Now due to the diligence of those 2 off duty officers and the hard work of Veronica little Coxy has now fully recovered and is almost ready to be released back into the sea by a marine expert who knows exactly where there is a good stream to help her travel back home. Loggerhead Sea Turtles can live to 70 years old so now Coxy will be free to enjoy the rest of her long life.